Every morning, either my mom or dad makes tea and put in my tumbler, for me to take to work. The type of tea I get feels like a surprise, because I have no idea what tea it is until I open it, and usually have to figure out what tea it is by taste. So, I’m all beams when I open my tumbler and discover that my drink is of tan color, because it’s my favorite hot drink, the HK-style milk tea! It’s very common for families from HK to have milk tea in the mornings. It’s even more special when your mother or father prepares it for you! Yummm!!! I wish someone made me milk tea in the morning. What’s your recipe? I have yet to figure out how to make it like the HK cafes! 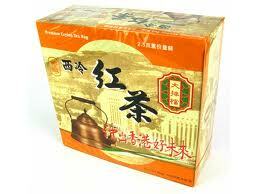 My dad said, “it’s 2 teabags (大排檔), couple of sugar and evap milk. that’s all.” For my 12oz tumbler. Wow, I didn’t know it was 2 teabags!!! So that’s how he made the milk tea strong with teabags. Got it! What brand of tea does he use (is that the name in Chinese)? My mom buys a brand called Uncle Mo, and it’s suppperr yummy. It comes in powder form. Check it out! Yep, that’s the name in Chinese. 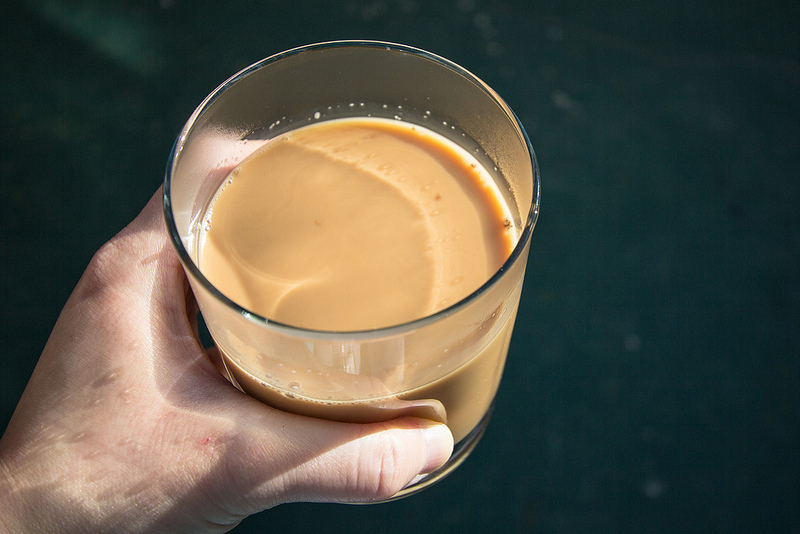 I googled “Uncle Mo milk tea”, and it looks like it’s more Teh Tarik than HK-style milk tea? I know of a place that sells good Teh Tarik. Will post it eventually!! Milk tea makes me WIRED. I need either milk tea or coffee if I’m super sleepy!